As of 1st July 2015, McDonald's Lime and Taylor's Lime were purchased by Graymont and the two companies are now unified under one company. We currently operate four plants across the country, and continue our commitment to serve and supply quality lime and limestone products to Agricultural, Animal Health and Industrial markets of New Zealand and Asia Pacific regions. Consistency of supply is critical to a number of our customers and we place great importance on ensuring we are always in a position to manage production and logistics to accommodate customer requirements. For more information about Graymont's global operations, visit www.graymont.com. Presently Graymont Lime owns and mines the country’s largest single lime quarry at Oparure, just North of Te Kuiti in North Island New Zealand. 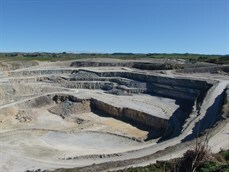 This 67-hectare quarry is located on top of the rich Waitomo strata and produces exceptionally high-grade limestone. Based in the South Island of New Zealand located in the calcium-rich area of North Otago. Well known for its outstanding quality, the Dunback quarry produces pure limestone of between 96-98% calcium carbonate and has its own manufacturing facility to produce high quality burnt, hydrated and ground lime products. At Otorohanga 20km north of Oparure quarry we operate two rotary lime kilns. 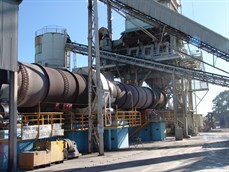 This plant manufactures high quality burnt and hydrated lime products which are supplied to domestic and export customers across the South Pacific. At the Otorohanga site we have specialised teams such as laboratory staff and facilities. This team test and report results which monitors the quality and consistency of our products. In addition we have experienced production, engineering and maintenance teams who work tirelessly to maintain, manage and improve operations. The Te Kuiti site operates a unique, vertical gas powered Maerz Kiln. 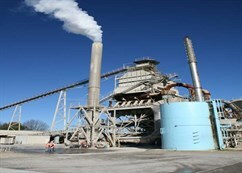 We therefore employ highly trained and specialised staff to run this one of a kind kiln. From our Waitomo based hub our team work diligently across the business to meet the needs and exacting requirements of our valued customers. From our Waitomo based hub we have the capability to extract the raw material and have highly efficient machinery to manufacture the lime, meeting the exacting requirements of our customers. It all began in 1865, when lime burner James McDonald opened for business in the Otago Peninsula. The company prospered despite the difficult economic conditions at the time and by the 1930s was supplying the entire South Island with lime. Together two companies developed strong relationships with our logistics partners enabling the delivery of product across the South Pacific including customers based in Papua New Guinea, New Caledonia and Niue.